The Julian Alps stretch from north-eastern Italy, along the Sava river in the north, to the Kanal Valley with its peaks over 2,000 metres above sea level. Named by famous Roman general Julius Caesar, they have been part of the Unesco “Human and biosphere” program since 2003. Downhill, enduro and XC Mountain biking in the Julian Alps surely is a very popular sport and bikers from all over the world are more than just impressed by discovering the amazing views from the snowy peaks in the north to the Adriatic Sea in the south. The Julian Alps in Slovenia are one of the rare undiscovered places in Europe for downhill, enduro and XC mountain bikers. 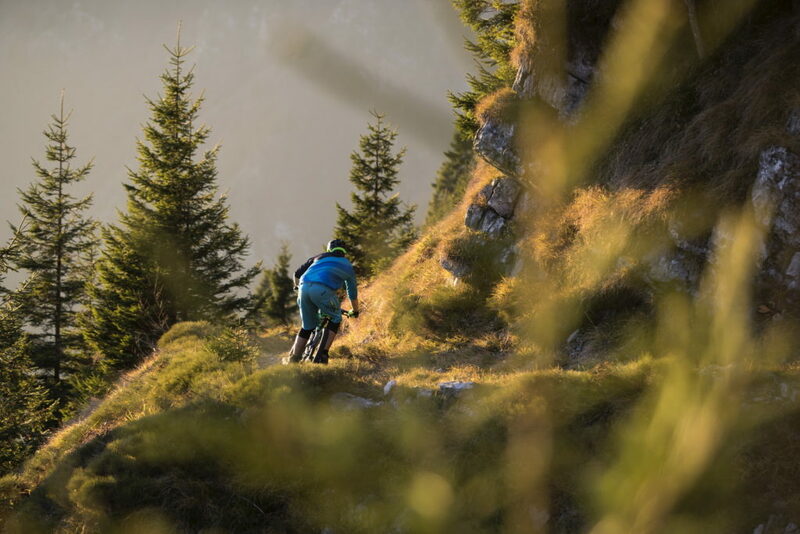 There are three bike parks for those who prefer a bit of challenge in their downhill ride in Kranjska Gora, Bohinj and Cerkno, all equipped with ski lifts. 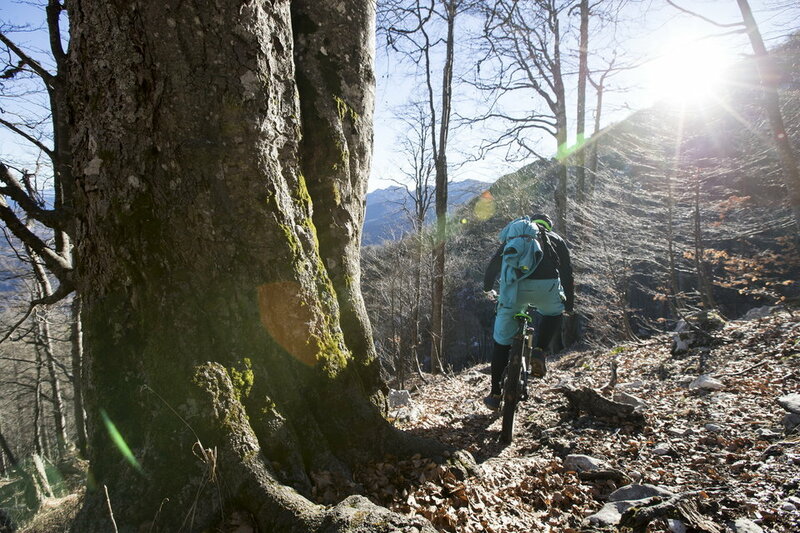 For those who prefer discovering nature in all its beauty, the local mountain bike guides can show you places that will take your breath away. Family trips in Kranjska Gora The tour usually starts in the north, in Kranjska Gora, surely the most known ski resort in Slovenia due to a long tradition of Vitranc Alpine Ski World Cup. 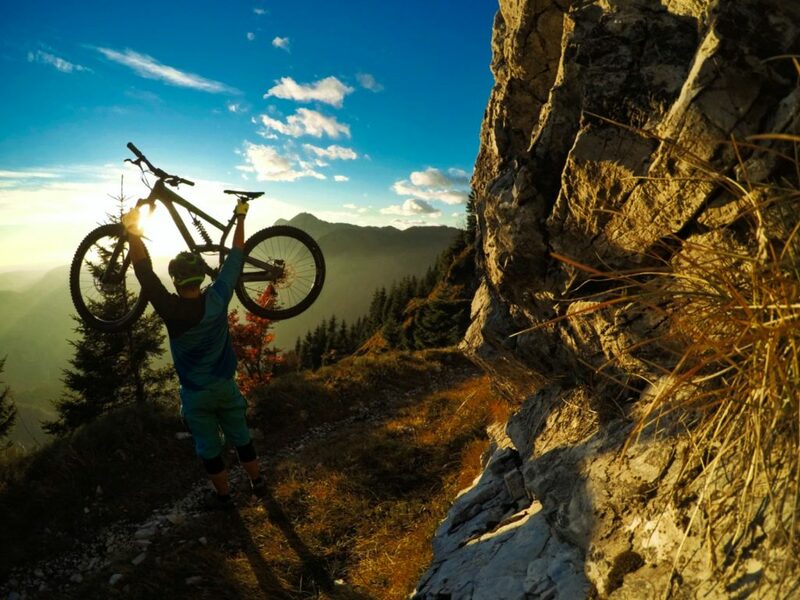 Kranjska Gora offers mountain biking tours for families, highly experienced riders and beginners. All of them can access hills above 1.500 meters and enjoy the views of the northern Julian Alps. The scenery of Kranjska Gora offers mountain bikers impressive views of Planica, the hometown of ski flying. From the Tamar Valley you can enjoy the company of climbers who hike to the highest peak of the Julian Alps in Slovenia and Slovenia’s highest mountain - Triglav. From Kranjska Gora there is an XC trail through the Radovna river valley to Lake Bled, the most picturesque lake with one of the most Instagram-ed islands in the world. Not far away from Bled you can discover the unspoiled nature of the Bohinj valley, a 20 km long and 5 km wide basin in the heart of the Julian Alps. 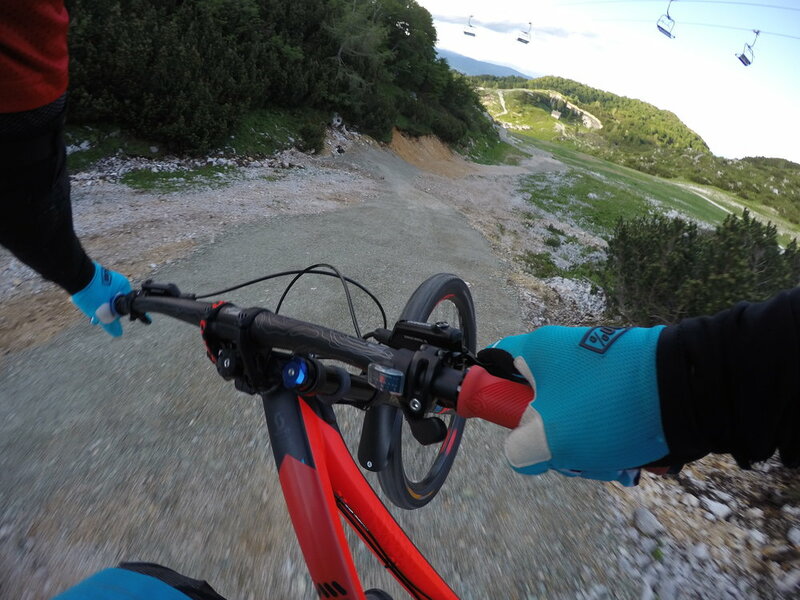 From the beginning of June until late autumn the newest bike park in Slovenia - Bike Park Vogel - is open for all downhill lovers. Back to nature in Bohinj Valley The hills in the valley are all waiting for enduro mountain bikers to discover their single trails in the heart of the coniferous forests above Bohinj Lake going to the Soriška planina plateau. From that point you can see the south and the north part of Julian Alps where the highest peaks are still covered with snow and you can enjoy those views in shorts sleeves. 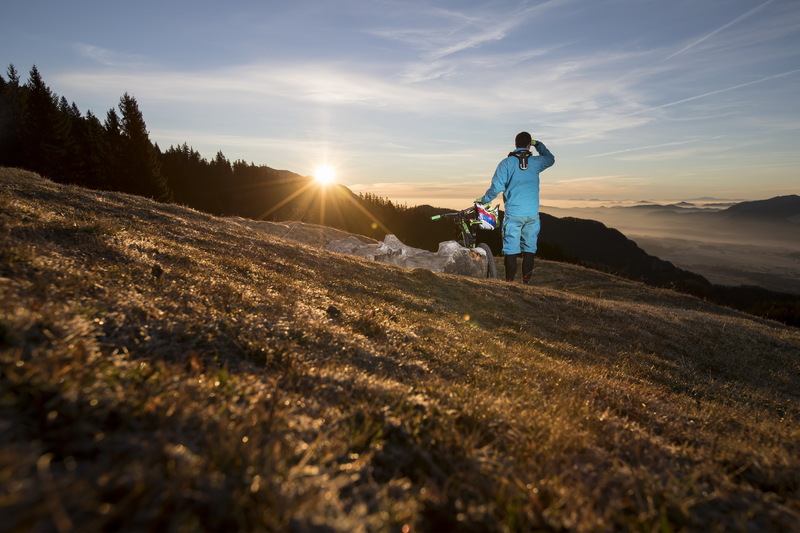 Many mountains suitable for mountain biking are accessible with cars or ski lifts that operate also in summer, so even less fit riders can enjoy them to the fullest. Not far away, there is the hidden, but amazing, historical town of Cerkno, known by its rich history from both World War I and World War IIl and a strong local MTB community which has been developing one of the best bike parks in Slovenia, Bike&Fun Park Cerkno, and experienced local MTB guides who will show you all the hidden singletrails of Cerkno Hills. The most western part of the Julian Alps rises above Soča river, the side role player in famous movies like The Chronicles of Narnia and many advertisements that capture the emerald coloured river in the midst of 2.000 meters high peaks of the Julian Alps. 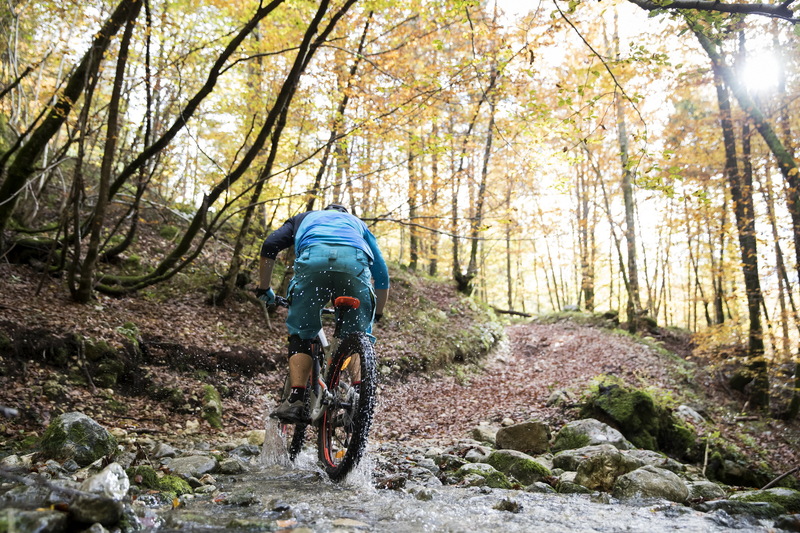 The mountains that border Italy are enhanced by great mountain biking ascents from where you can see the Gulf of Trieste and the Adriatic Sea. Explore the Julian Alps in 4 days Most of the mountain bikers that come to explore Slovenia on two wheels can’t explore all the mountain biking destinations in the Julian Alps in a week, but you can feel and enjoy the majority of the trails at Trans Julius - an enduro MTB adventure taking place from the 22nd to 25th of June 2017. Check it out at www.trans-julius.com. Tagged adrenaline, geography, Gorenjska region, off the beaten track, Posočje region, Triglav National park, UNESCO. Bookmark the permalink.